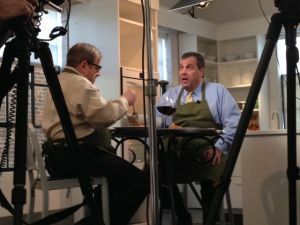 In the new series Pasta & Politics, New Jersey journalist and Politifax editor Nick Acocella as he combines his two passions — Italian food and politics — for a deliciously new kind of talk show. We caught up with Nick to talk about the tastes that inspired him. What gave you the idea for Pasta & Politics? I love politics. I love pasta. The combination was inevitable. Have any of your interviewees surprised you with their cooking abilities? 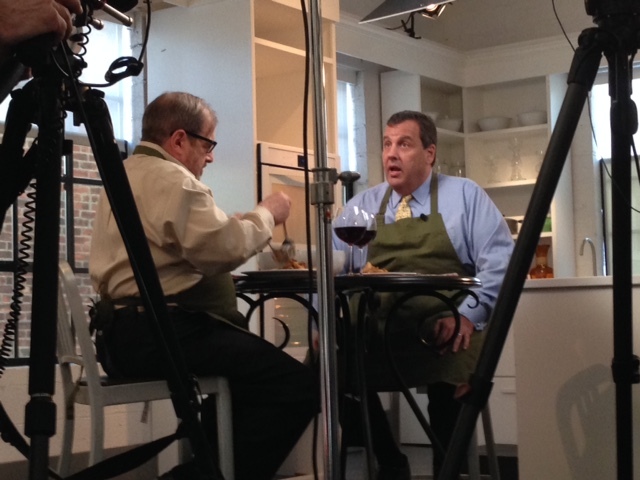 Both the Governor and Steve Sweeney know their way around a kitchen. Christie says he cooked when he was first married; Sweeney says he leaned how to roast tomatoes from his Italian grandmother. Can you share any insight you’ve gained so far from making these shows? Producing a television show is a lot more difficult than I imagined. I don’t understand the technical stuff and needed really good people to get me through it. Perhaps one of the things that made it so difficult is that I resolved from the beginning that, unlike some television cooking shows, I would actually cook the food on camera and that, if I had to choose between it’s looking good and it’s tasting good, I would opt for taste. Who would you like to bring into your kitchen next? We’ve already taped the Governor, the Senate President, and former Governor Tom Kean. Senator Bob Menendez, Lieutenant Governor Kim Guadagno, and Assembly Speaker Vinny Prieto have all agreed to do an episode. After that, we’ll see. There’s really no end of people. Maybe we’ll do a season with just members of Congress or one with mayors. What’s your favorite thing to cook? Any recipes you can share? I’m strictly a Sunday cook. I like cooking steaming pots of pasta for company — preferably with seafood. On Christmas Eve I sometimes whip up the traditional Italian seven course dinner with seven different fish. The guests have to be willing to sit through a dinner that lasts seven or eight hours — with breaks, of course. On a less grand scale, my favorite recipe is spaghetti with a deep rich tomato gravy that uses chopped ginger (yes, ginger!) as well as garlic and adds fresh diced mozzarella at the end. It makes the house smell like paradise.